Review: Matthew E. White, 'Fresh Blood' He wanted to be the behind-the-scenes guy, not the star. 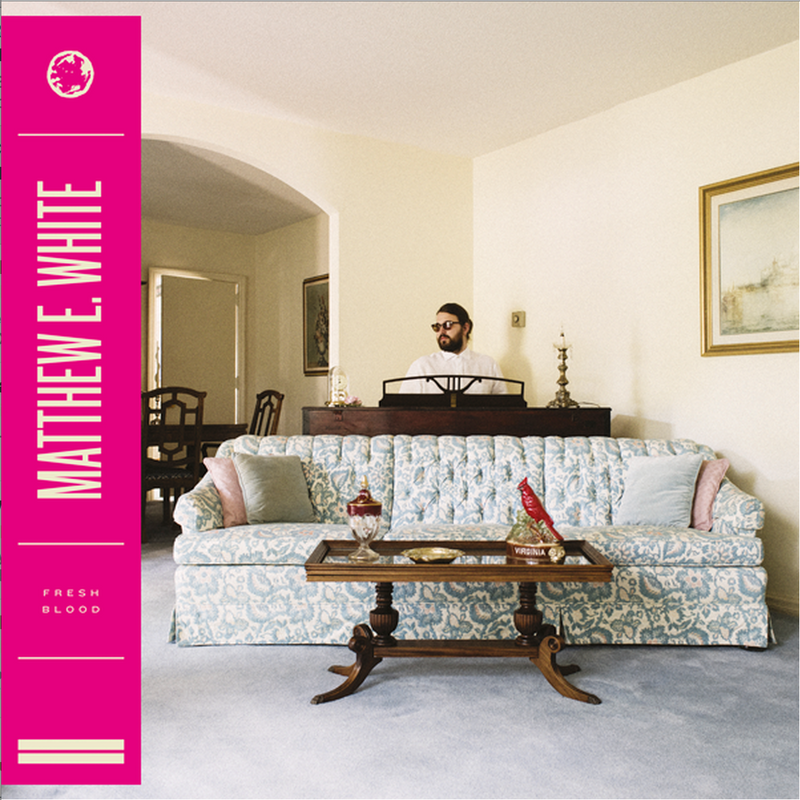 But backed by strings, choirs, horns and the house band of his own label, White made a second album that isn't different — just better. It's not that any of this is anything you're meant to ponder when you're listening. In fact, in "Rock And Roll Is Cold," White seems to suggest that that sort of postmortem categorical analysis misses the warm gravity his heroes embody: "Everybody likes to talk / Everybody likes to talk s---," he sings, laughing off the intellectual reductionists. Signifiers of how it "used to was" are prevalent if you know what you're listening for, but they aren't the real gestures of tribute, or aspiring to lineage. The high quality of performance and arranging, the generous spirit of its narrator, the ear-candy moments of instant comfort that permeate Fresh Blood — all that is how Matt White and his crew salute their inspirations.